Bigger developments are targeting Logan Square lately, sparking local debates about what direction is best for the majority Latino neighborhood on Chicago’s northwest side. Over at Curbed Chicago, Logan Square resident AJ LaTrace has been hitting the hyperlocal beat hard. 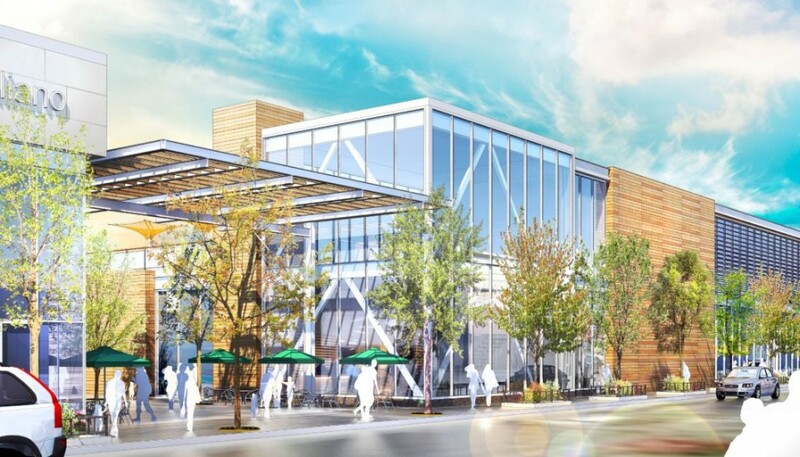 Lately he scooped renderings from the online forum Skyscraper page that were later confirmed to be proposals for the redevelopment of the Discount Mega Mall on Milwaukee Avenue into a glassy 2.55-acre shopping center. As Curbed reported, Cushman & Wakefield have previously listed the property on their website, but now developers Terraco are apparently eyeing the 130,680-square-foot space, formerly home to a year-round flea market and two small surface parking lots. The new development is dubbed “Logan’s Crossing,” according to Curbed, and documents from Terraco and Sierra U.S. Commercial Real Estate advertise it as being “In Chicago’s Hottest Neighborhood.” That boast is no surprise to those who have followed the accelerating pace of new developments in the neighborhood lately. But some neighbors are wary of that trend. 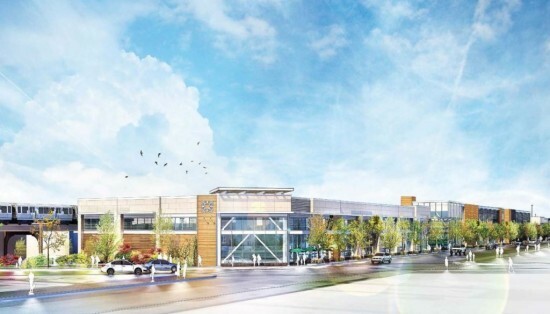 We reported in the August issue of AN’s Midwest Edition that plans for an urban orchard and new public plaza are moving forward after years of delays. Other developments include new condos that are under construction a few blocks south, and plans to revamp the park around the Illinois Centennial Monument—the neighborhood’s focal point, which links Logan and Kedzie Boulevards. Two projects under the city’s new transit-oriented development ordinance (also covered in our August issue) are meeting resistance from some neighborhood residents, who argue the new towers are out of scale with two- and three-story buildings nearby. Those projects include a nascent proposal for an empty lot near the California Blue Line stop from the team that built 1611 W. Division—a low-parking apartment tower in West Town designed by Wheeler Kearns Architects—and a Brininstool+Lynch project just north of the vacant Congress Theater. 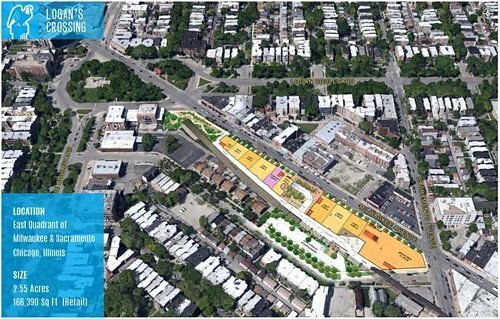 Both projects are several stories above the current neighborhood scale, but supporters have argued increased pedestrian and vehicle traffic along Milwaukee Avenue merit upzoning. Neighbors are not just concerned about height issues, however. Though still predominantly Latino, the area’s white population has grown in recent years, enflaming tensions over gentrification and soaring rents that are familiar to residents of neighboring Wicker Park and Humboldt Park. Anxieties about the neighborhood’s quickly changing character came to a head over the Milshire Hotel, a local SRO residence that was facing closure earlier this year. A city-wide moratorium on shutting down or demolishing SROs saved the building, some of whose residents may have gone homeless if it had been suddenly shuttered.